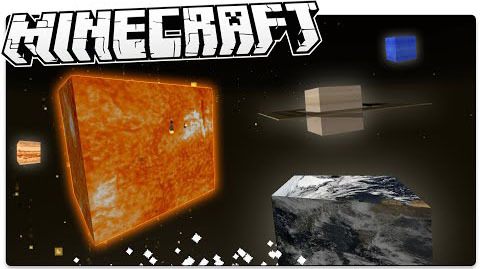 With only two command blocks I am bringing you an amazing looking miniature Solar System to your world. You can spawn one with the spawn egg. After that, you can interact with the Solar System using the book. The Solar System looks amazing; using mini armor stands to represent planets and particles for stars it gives an incredible look. It uses 147 custom command blocks for different positions of the planets, and a few other ones for scoreboards and stuff.